For fun and giggles, I also maintain a lifestyle blog at Plus Black, where I share inspiration and ideas for sustaining stylish fabulousness through life’s unexpected transitional moments. Ever the optimist, I continue to believe that it is possible to lead a fabulous life in heels on wheels. 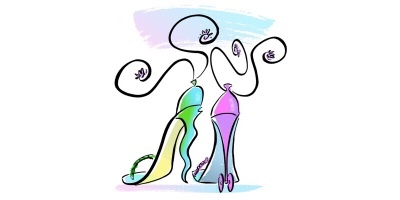 Thank you for your time on the Stiletto Wheels blog and I hope you enjoy it here. All feedback is welcome. You'd like more Stiletto Wheels? For fun and giggles, I also maintain a lifestyle blog at Plus Black, https://blog.plusblack.co.uk, where I share inspiration and ideas for sustaining stylish fabulousness through life's unexpected transitional moments. All original artwork is by Ian Mitchell, Illustrator. Stock illustrations are from Shutterstock.com. Other images used from the internet are linked to/from source locations and shown only for illustrative purposes. I do not claim copyright nor do I pass the work of others off as my own. If you wish to contact me with regard to any images shown, please email via the ‘Reply’ section on the ‘About’ page of this blog. Thank you.